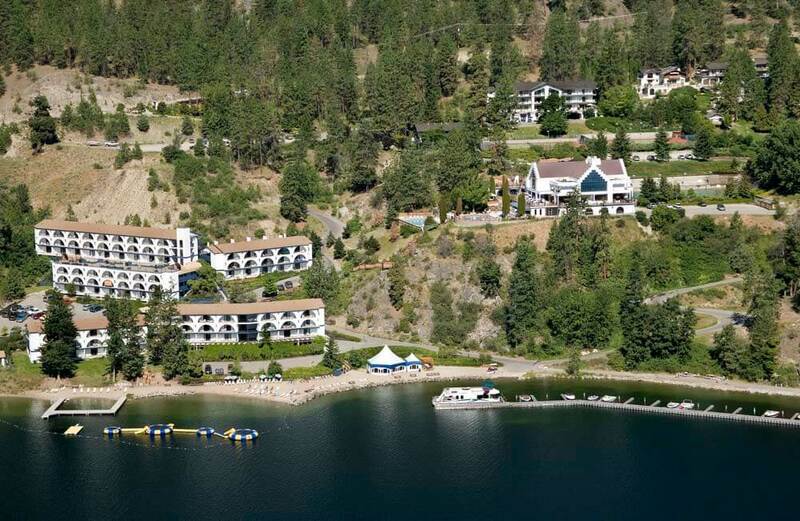 The three star Lake Okanagan Resort is just twenty minutes from downtown Kelowna, British Columbia. Beautiful accommodation nestled on one mile of waterfront and three hundred acres of mountainside parkland along the shores of Okanagan Lake. The choices of activities are endless while enjoying your getaway. British Columbia’s Okanagan region is one of the hottest destinations in the world and is referred to as the "Napa of the North." In the past decade, the region has gone from having a few dozen wineries to over one hundred, many of them receiving top international awards. The one hundred and eighteen Studio, One Bedroom Suites and Three Bedroom Apartments and Chalets are tucked along the shoreline of the lake. 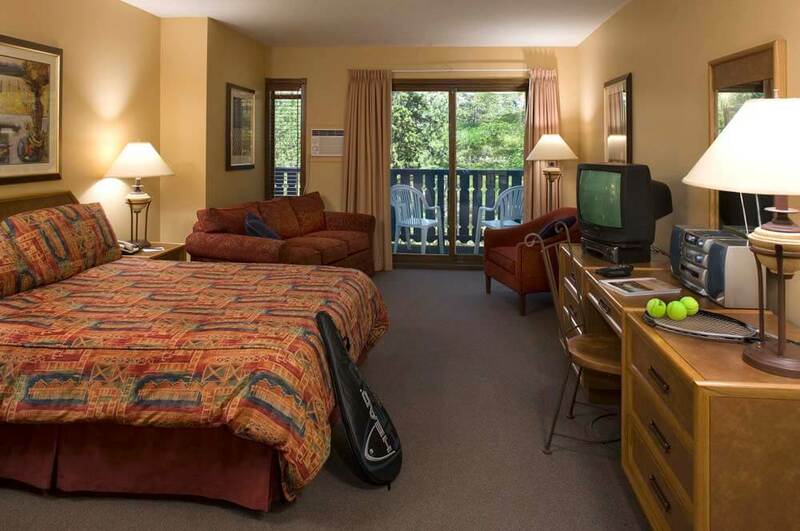 All suites include kitchen facilities, walk-out balconies and a view of the lake, golf course or forest parkland. Apartments and Chalets consist of two bedrooms with king or queen beds; one bedroom with two twin beds, full kitchen, laundry facilities, dining area, two bathrooms, large living room with queen sofa bed and fireplace. 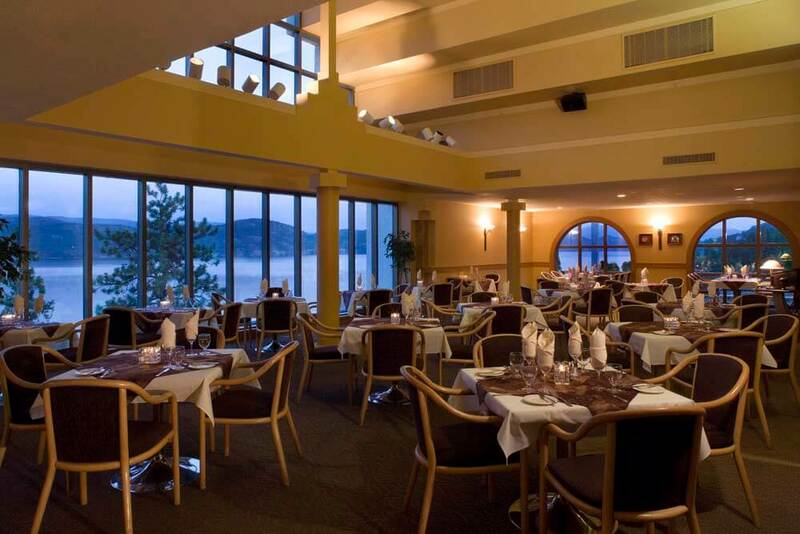 The resort offers the Chateau Dining Room which serves contemporary cuisine with panoramic views of the Lake. There is also a café and bar for lighter snacks.